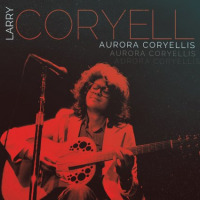 Time truly is fleeting; just look at the circumstances surrounding the release of Larry Coryell's Seven Secrets, the guitarist's first studio release with his 11th House group in 41 years. The idea for reuniting this seminal '70s fusion group first came in 2015, when the lineup for a previously booked one-week engagement at New York's The Blue Note club unexpectedly fell through. 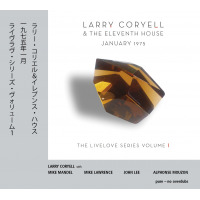 Rather than cancel, Coryell suggested bringing most of the 11th House's original members back togethertrumpeter Randy Brecker, drummer Alphonse Mouzon and bassist John Lee, who replaced founding bassist Danny Trifan for the group's second album, Level One (Arista, 1975)along with, Coryell's son, guitarist Julian Coryell, replacing Mike Mandel due to the keyboardist's ill health. That July, 2015 Blue Note gig went so well that plans began to form for a full-fledged reunion, including both an album and a 2016 tour that included a planned stop at the heralded Festival International de Jazz de Montréal. Unfortunately, unexpected complications from what was described as a routine procedure put Coryell out of commission, resulting in the tour being cancelled. Still, by the time that tour was to take place the tracks for Seven Secrets were in the can, and there were hopes for rebooking gigs at a later date. Then the first blow struck: Mouzona drummer/keyboardist who, a solo artist in his own right with his own discography, was a member of Weather Report's first, groundbreaking incarnation in addition to subsequent work with artists including Miles Davis, Herbie Hancock, Jeff Beck and Al Di Meolapassed away, age 68, on Christmas Day, 2016just three months after being diagnosed with neuroendocrine carcinoma, a rare form of cancer. 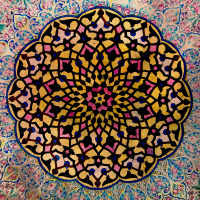 Nevertheless, the first official notice of Seven Secrets' release came a month later, on January 27, 2017, when Savoy Jazz announced a street date for the album of June 2, 2017...and the first of what was expected to be a larger series of tour dates for that summer with an as-yet-unannounced drummer to substitute for Mouzon. Then an even greater tragedy struck, just 23 days after Savoy Jazz's initial press release: Coryell passed way, of heart failure, on February 19, 2017, age 73. And so, Seven Secrets may well turn out to be Coryell's final release as a leader; if it is, he couldn't have gone out in better fashion. The original lineup that released what is considered, by most, to be the 11th House's best albumits 1974 Vanguard Records debut, Introducing The Eleventh House, With Larry Coryelldidn't last long: first to go was Trifan, replaced by John Lee for Level One, but Brecker's departure came soon after, first replaced by Mike Lawrence on Level One and followed by Terumasa Hino for the group's third and final studio release of the '70s, Aspects (Arista, 1976). Mouzon played on Level One, but was gone by the time Aspects was recorded, with Gerry Brown in his place. Looking back, particularly the case of Mouzon and Brecker, both were becoming increasingly busy both as session players and with their own projects including, in Brecker's case, the Brecker Brothers band, co-led with his younger brother (tragically, now deceased at just 57 in 2007), saxophonist Michael Brecker. Bringing together, including Coryell, three of the 11th House's original membersplus one who joined soon afterwas a real coup for the guitarist, whose reputation amongst musicians sadly exceeded commercial success and broader public attention, though his later years seemed to signal something of an upswing. 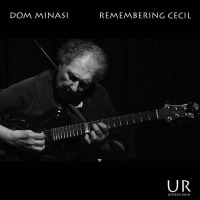 First appearing on the scene at roughly the same time as John McLaughlinearlier, more accurately, having already made a name for himself in vibraphonist Gary Burton's quartet as early as 1967's classic Duster (RCA)it's always been a crime that Coryell, considered by many to be the "Godfather of Fusion," never achieved the same degree of fame as the British guitarist. 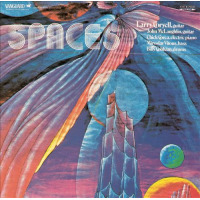 Brimming with confidence, and an abundance of jazz chops, but also imbued with a deep feel for the blues of his native Texas, Coryell even invited McLaughlin to participate in what would become one of jazz guitar's greatest cutting contests, 1970's Spaces (Vanguard); still one of Coryell's most highly regarded albums (along with Introducing The Eleventh House), it also featured fellow rising stars Chick Corea, Miroslav Vitous and Billy Cobham. 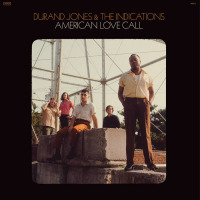 There have been a number of live 11th House archival finds unearthed in recent years, including the particularly strong Live At The Jazz Workshop (Hi Hat, 2015) and even better January 1975: The LiveLove Series Volume 1 (Promising Music, 2014), that have both brought some attention back to a band thatplaying head-to-head, at the time, with fellow fusioneers including Mahavishnu Orchestra, Return to Forever, Herbie Hancock's Headhunters and, of course, Weather Reportnever seemed to be able to crack commercial success to the same degree as the others...and for reasons that certainly weren't musical, as these unearthed live shows present Coryell's 11th House as a high-octane fusion group that differentiated itself from its contemporaries on a number of fronts. Virtuosity was a prerequisite for any fusion band back in the day and the 11th House demonstrated no shortage of technical mastery, but the quintet was somewhat exceptional in its egalitarian approach to writing. While Weather Report always featured music from its core keys-sax-bass trios, and RTF gradually introduced music from all four members of the group, Coryell welcomed compositions from anyone and everyone in the group from the get-go; although only Coryell, Mouzon and Mandel wrote music for the group's debut, by Level One everyone was contributing. For this 21st century reunion of 11th House, the only member not composing is Coryell Jr. Father Larry is responsible for four of the album's eleven tracksthough one, "Molten Grace," is a stunning acoustic guitar solo piece for the guitarist that demonstrates just how far he's evolved in the ensuing decades. 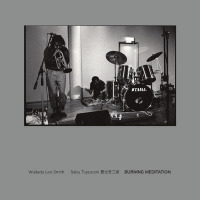 Mouzon also provides four pieces, while Brecker contributes two and Lee one, written together with guitarist Dennis Haklar (who makes the album's sole guest appearance), "Dragon's Way." A four-on-the-floor shuffle where Lee's muscular fretless electric bass overdub doubles Coryell's melody, the context for "Dragon's Way" is set, for the most part, by Lee's underlying strummed double bass chords and Julian's effects-heavy harmonic support. Larry may take most of the album's guitar solos, but he still leaves plenty of room for his son to shineand, in particular, here on "Dragon's Way," where Julian's extended opening solo (one of four on the album) is far more than just a pleasant surprise. Masterfully commanding both tonein this case, scorching and heavily filteredand technique, it puts any who hear it on notice that, while he's been around for awhile, he's been even more criminally overlooked than his father, similarly deserves of greater attention. Like his father, he demonstrates a similar command of complex harmony, using Lee and Haklar's alternating four-and five-chord passages as grist to shift effortlessly from bluesy pentatonics to more sophisticated melodic inventions. Brecker's incendiary "Philly Flash" covers a lot of rhythmic and harmonic territory, given its diminutive five-minute duration. Revolving, for the most part, over a two-chord vamp followed by a rapid-fire series of eight more sophisticated voicingsfour to the barand a single bar for Mouzon to fill alone, it features some of Brecker's most mind-bending work of the set, a perfectly constructed solo that combines clear melodic intent with high-speed gymnastics that swoop and soar to stratospheric heights, all driven hard with rock-edged fusion energy by Lee and a particularly potent Mouzon. Lee and Mouzon shift rhythmic gears for Coryell Sr.'s similarly impressive solo, moving into a hard-swinging double time bolstered by Lee's fast-walking bass lines and Mouzon exceptional cymbal work, punctuating Coryell's tart, bop-informed lines with intuitive snare shots and more muscular fills in the otherwise empty bar between each chorus. The benefit of bringing a group back together after decades apart is that, ideally, everyone has raised their game considerably in the ensuing years, and brings far more to the table than they originally did; it's no hyperbole to say that everyone on Seven Secrets has not only grown exponentially, but that the chemistry that first made them such a compelling group has only become stronger and deeper with the passing of years. Brecker's groove-heavy "The Dip" may possess a relatively simple 16-bar form and is no longer than the trumpeter's other compositional contribution, but it still gives him (filtered), Coryell Jr. (overdriven) and Lee (again, with a gloriously thick fretless) plenty of room to manoeuvre. The elder Coryell only takes a few trade-offs with Brecker on the fade-out, so it's Julian who shines alongside Brecker and Lee on this blues-drenched piece that nevertheless provides plenty of foundation for some bop-centric chops from everyone involvedeven the particularly rockin' Coryell Jr., as Lee and Mouzon one again lock the groove down with firm but pliant support. Like his more up-tempo, booty-shaking "Some Funky Stuff," Mouzon's more soulful ballad, "Having Second Thoughts," bears comparison to latter-day Crusaders, with an eminently singable melody doubled by Brecker's muted horn and Coryell Sr.'s clean, warm-toned guitar. Once again, Brecker delivers another perfectly constructed solo: busy, at times, but never superfluous...just flat-out exhilarating from start to finish, despite the tune's more relaxed nature. Coryell Sr., whose tone with 11th House back in the day was sometimes a bit abrasive, exercises the benefit of years of growth and lessons learned, delivering a solo of similarly strong construction, but with a sweetly overdriven tone that's perfect for both its more restrained melodic phrases and the instances when he lets loose with a series of light-speed lines. While both Brecker and Mouzon (along with Lee's sole contribution) contribute music that clearly challenges the group to raise its bar, it's Coryell's three group compositions that, perhaps, push the band hardest, both in terms of structural complexity and improvisational contexts. 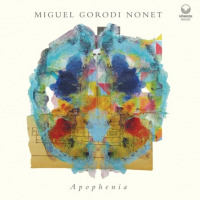 The guitarist's opening "Alabama Rhap Corollary" may be relatively easygoing in vibe, with Mouzon's delicate kit work balancing the pulse with Lee's thick fretless, but between some contrapuntal complexity and knotty arrangement ideas, it sets an early watermark for the rest of Seven Secrets: music that challenges the mind while moving the body; music that, whether simply constructed or more idiosyncratically charged, provides contexts for everyone's best playing in recent memory. Coryell's "Mr. Miyake" feels more closely aligned with the fusion era from whence 11th House came. As gritty guitar arpeggios drive the main section, they provide a shifting foundation over which Brecker contributes another scorching solo...but on this track it's Coryell Sr. who steals the show. Possessing better command over sonics forty years on, Coryell plays with even greater fluidity and dexterity. 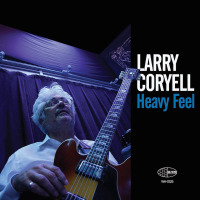 That said, despite demonstrating a broader musical reach, Coryell also makes clear that he still has plenty of the raw energy and reckless abandon that made him such a highly regarded guitarist during his emergent years from the mid-'60s to mid-'70s, as he returns to tonalities and concepts largely abandoned in the ensuing decades. As if there isn't enough of it elsewhere in his playing, Coryell's third group piece, "Mudhen's Blues," clarifies his deep attachment to his Texan roots while, at the same time, imbuing what is, indeed, a visceral bluesbut one where where every second round has a more complex series of chords leading to the nextwith greater opportunities for sophisticated thematic explorations. That Mouzon and Coryell passed away within a couple of months of each other makes Seven Secrets all the more bittersweet. 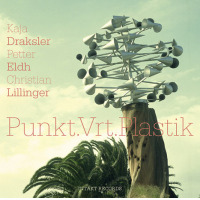 Groove-heavy, while still imbued with the language of jazz that gives it greater depth, it's an album that would haveshould havebeen a terrific foundation for hitting the road and seeng just how far this group could have taken this music. That we'll never know how that would have turned out is tragic; but at least Coryell and 11th House were able to get this album recorded. 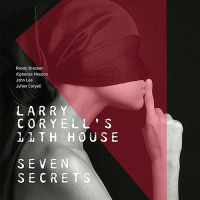 Even if we'll never know just how terrific this music would have been in concert, it's treasure enough that Seven Secrets has been left as a final statement...one that makes clear that Cornell and the 11th House of the 21st century possessed everything it had back in the day...and then some. Track Listing: Alabama Rhap Corollary; Mr. Miyake; Dragon's Way; Philly Flash; Molten Grace; Seven Secrets; The Dip; Having Second Thoughts; Some Funky Stuff; Mudhen Blues; Zodiac. 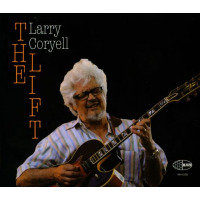 Personnel: Larry Coryell: guitar (1-4, 6-11), acoustic guitars (5); Julian Coryell: guitar (1-4, 6-11); Randy Brecker: trumpet (1-4, 6-11); John Lee: bass (1-4, 6-11); Alphonse Mouzon: drums (1-4, 6-11), keyboards (6, 8, 9, 11); Dennis Haklar: acoustic guitar (3).